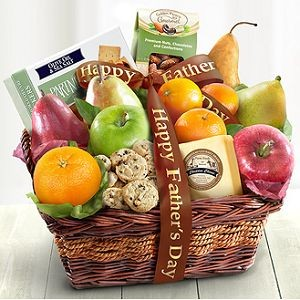 Father's Day Gourmet and Fruit Basket $49.95. Tell dad how special he is with this feast in a basket. Fresh fruits are paired gourmet treats like handmade cheddar mixed nuts cookies and more. The ZeeCoupons application helps you to save on thousands of deals at your favorite Stores and Restaurants. Whether you are hungry or looking for in-store offers while shopping, ZeeCoupons app provides you with the best coupons and deals on your Mobile device.